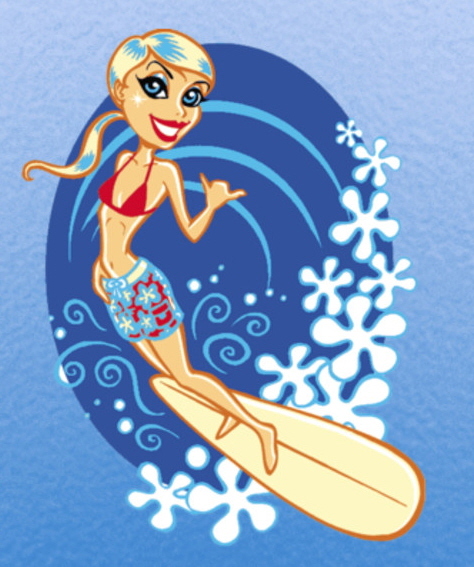 Celebrating my 10th season offering surf lessons for women! Have you always wanted to learn how to surf but not sure how to get started? Are you too intimidated to try surfing on your own? Are you a mom who wants to be able to surf with your kids and/or husband? Michelle Sommers offers private and group surf lessons, along with surf camps for women of all ages. 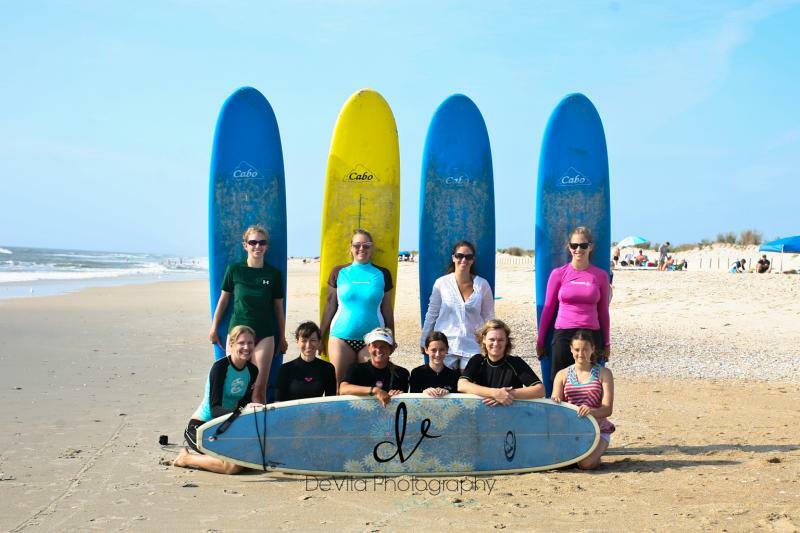 Learn the basics of surfing in a safe environment with the area's best female surf instructor! 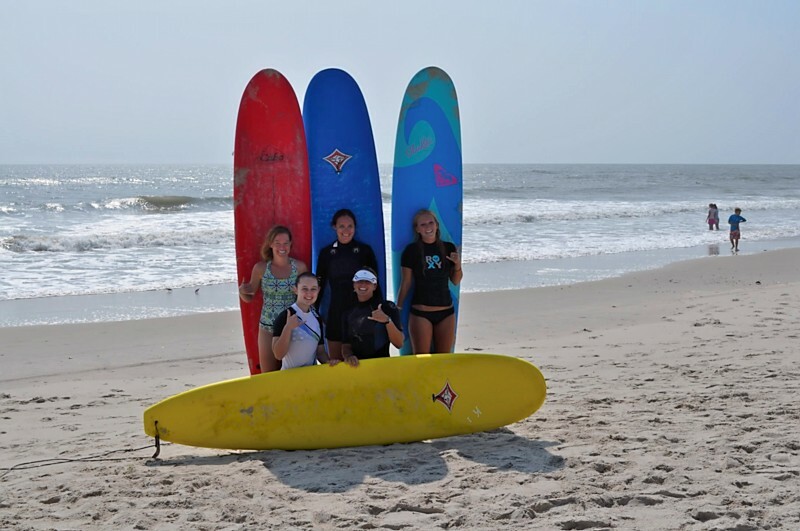 Surf lessons are available for the areas of Ocean City, Maryland, Fenwick Island, Delaware and Assateague State Park in Maryland. 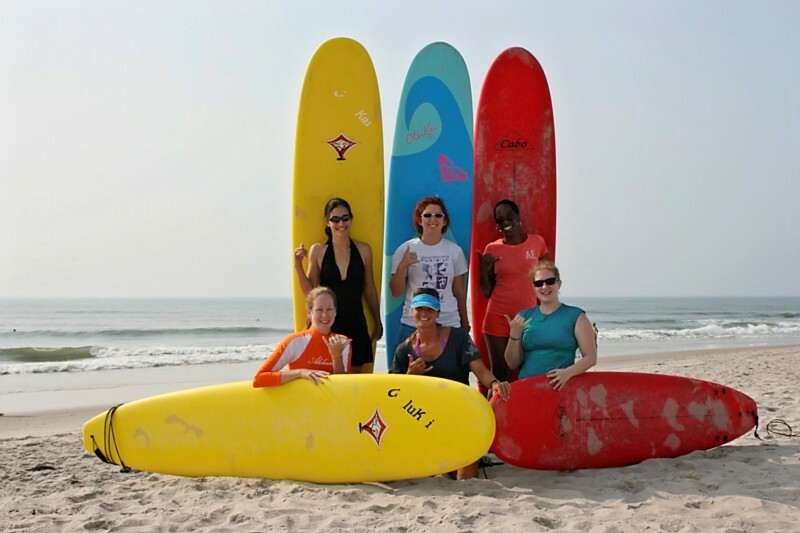 Michelle is the only instructor in the area with an agreement to provide surf lessons at Assateague State Park. All lessons and camps are dependent on weather & surf conditions. Lessons are also available for guys and children too (minimum age is 10)! 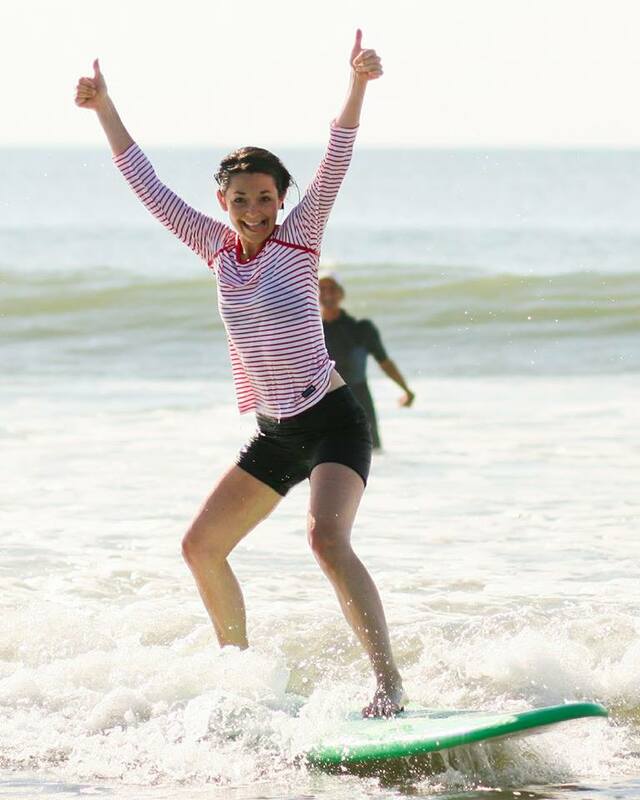 Watch this video to see how much fun you will have learning to surf with Michelle Sommers! Michelle offers personal instruction for the beginner surfer. All surf lessons begin on the beach with the basics - safety, paddling techniques, surf etiquette, wave & water knowledge - and then venture out into the water to get comfortable on the board. She supplies a soft-top surfboard for your lesson or you may prefer to use your own. Lessons are only conducted in small surf conditions. All you need is a comfortable swimsuit, boardshorts and/or rashguard, a towel, plenty of sunscreen and willingness to relax and have fun! Due to changes in beach & sandbars, locations for the surf lessons & camps will be determined at the beginning of the season. Lessons may be scheduled May thru October, and times will vary depending on tides and schedule. 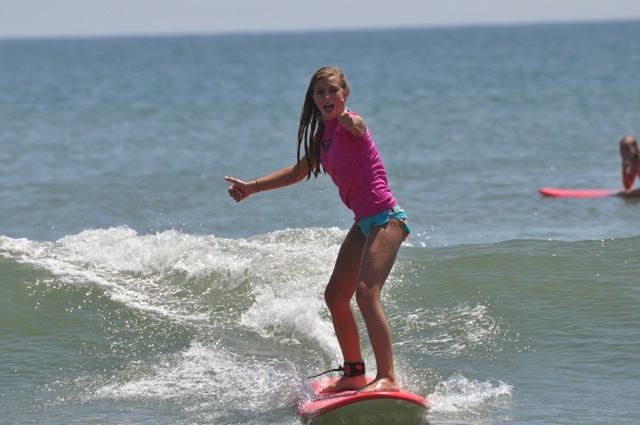 Surf lessons and camps may be held at Assateague State Park or in Ocean City, Maryland. This depends on sandbars and tides. Currently, I am the only instructor in the area with an agreement that allows me to offer my lessons at Assateague State Park. Assateague offers the best waves in the area for beginners. Initial lessons are about 90 minutes in length with additional lessons being 1 hour and are dependent on weather and surf conditions. Weekend surf camps are 2 hours in length each day. Michelle is AED Certified for Adult & CPR Certified for Adults, Children & Infants through the American Red Cross. "The cure for anything is salt water--tears, sweat or the sea." Minimum age for attending surf camps is 12 years old. Younger ages should register for lessons. * Ocean water temps may still be chilly and wetsuits may be necessary for these dates. Copyright 2009 Sommers Surf Lessons. All rights reserved.